The fourth Sunday of Advent has arrived and with it the winter solstice. 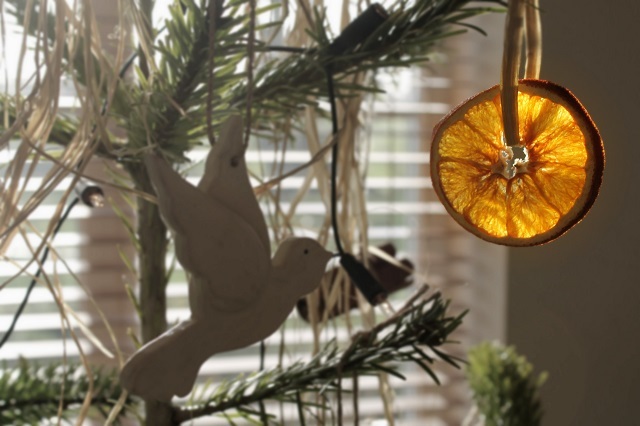 Preparing for Christmas and celebrating the wonder of the natural world. Here are some highlights. ♥ Our bauble free Christmas tree. How magical are Christmas trees? ♥ We spent this morning in the kitchen. The sherry was open - couldn't quite wait 'til Christmas. ♥ First attempt at clementines in caramel. Not quite there yet. Caramel takes confidence. ♥ Our eldest son is home from uni. And his washing and his music. Love it. 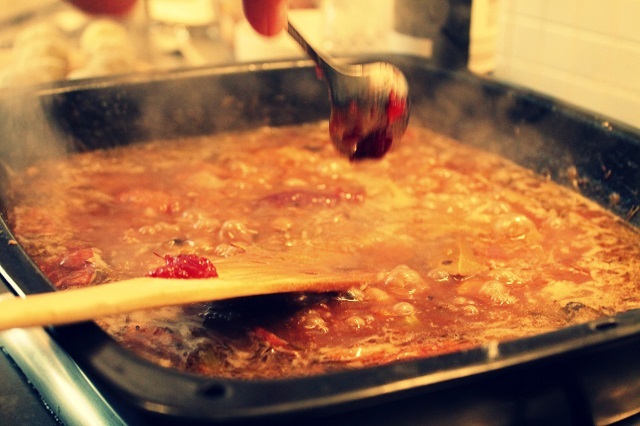 ♥ Time for a Sunday roast and gravy has been made in advance for Christmas day. 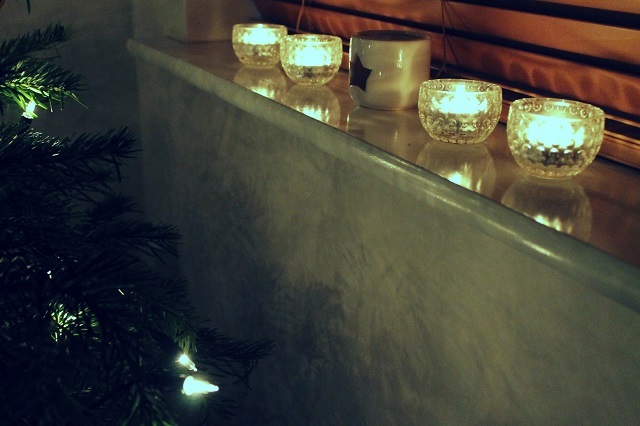 ♥ Lighting the fourth Advent candle at home - now hiding on the sill behind the tree. ♥ An evening carol service. ♥ Home to light more candles. ♥ Dad has been in hospital this week. He was home after 3 days. So grateful. I love the way the orange slice looks with the sun shining through it, really pretty. Those oranges will brighten any dark day! :) SO lovely! Beautiful photos, they really sum up the time of year. Hope your dad is making a good recovery. Glad to hear your dad is out of hospital Claire. 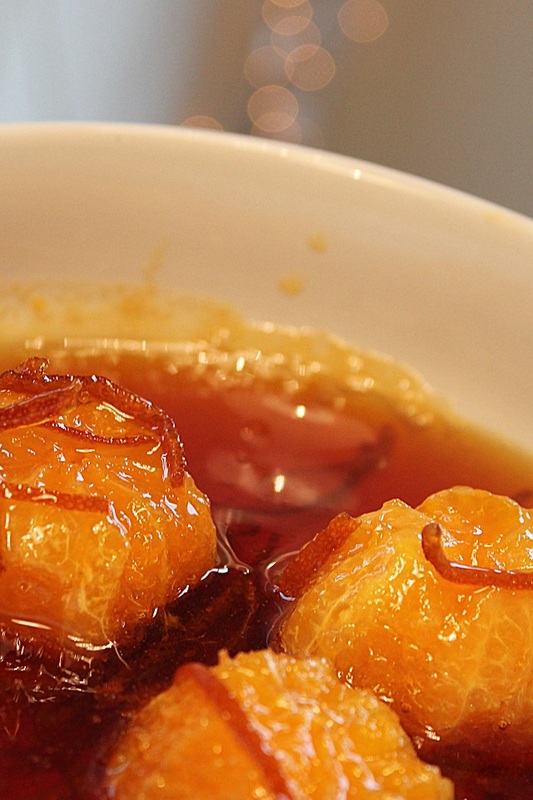 Your photos are delightful - the clementines in caramel look so delicious! I also only have lights on my tree. I think it looks best that way. Excellent news your Father is home for Christmas! I could do with a chicken dinner!!! Hello from America. I've recently discovered your blog, Claire -- and I really, really like it. This post brought tears to my eyes. In a nice way. Very glad your dad is home, and glad you'll be back with another post before the big day. Warmest Christmas wishes.